Made of strong PVC coated fabric, two top drawstring closures, padded and adjustable backpack straps, adjustable waist belt. 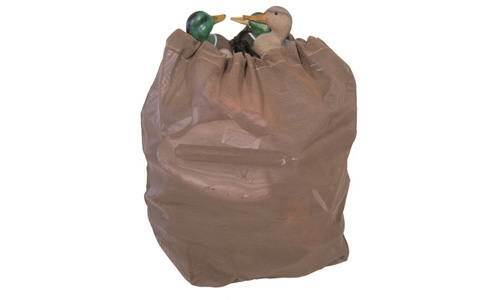 Holds up to 30 standard sized decoys. Size: 26" x 21" x 31"